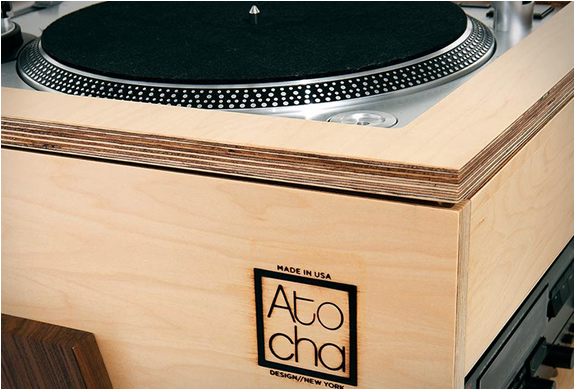 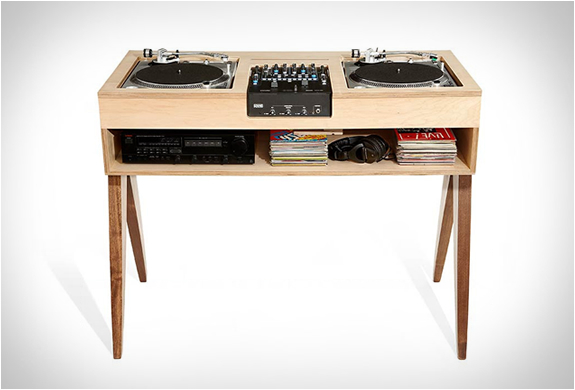 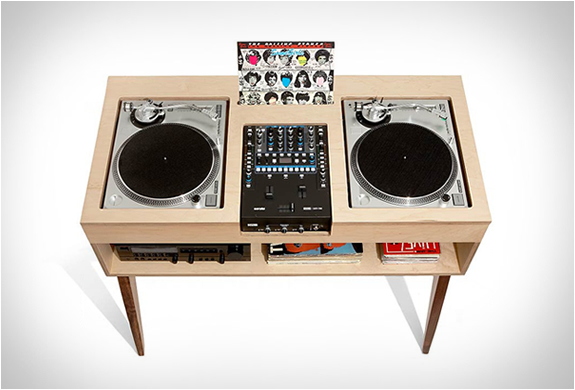 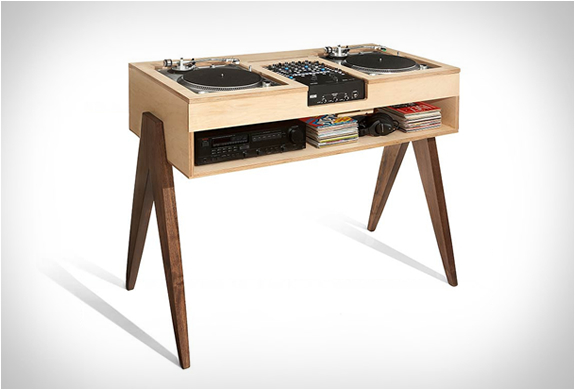 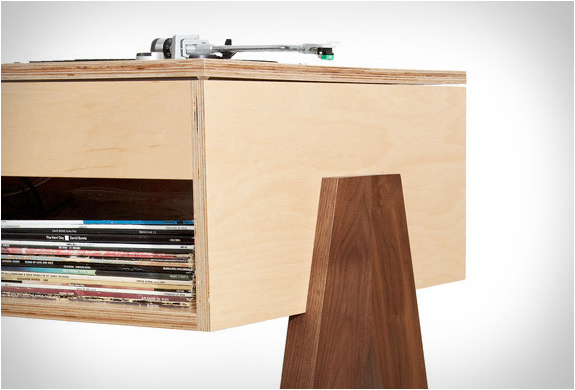 The DJ Stand is another beautifully handcrafted, mid-century–inspired piece of furniture by Atocha Design. 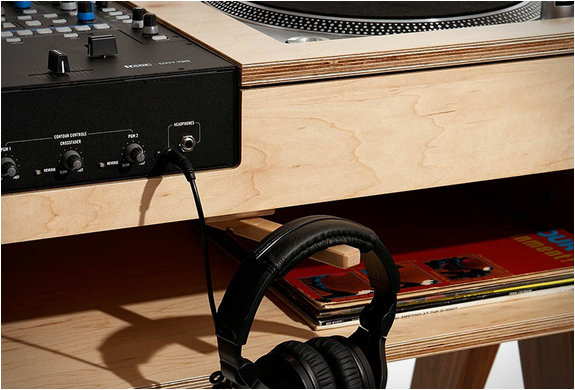 Made to order according to your needs, the minimalist, old-school stand has room for two turntable and a mixer, the shelf below allows you to conveniently store components, accessories, LPs or singles, and features a pivoting bayonet for hanging your headphones. 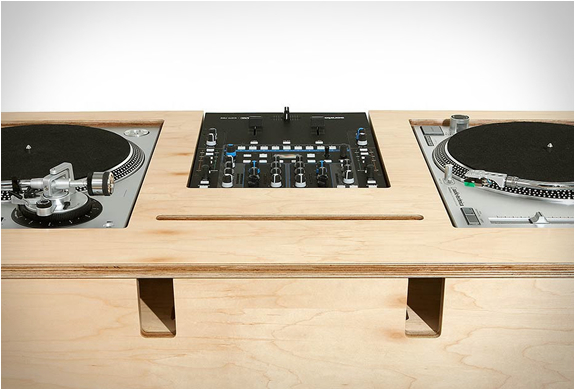 The back panels work both as vents as well as for laptop-stand clamps, and offer internal cord access for visual clarity. 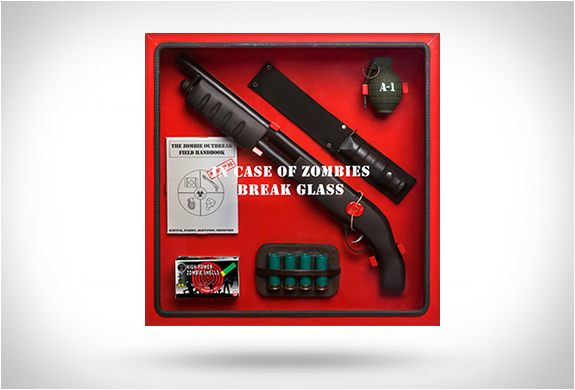 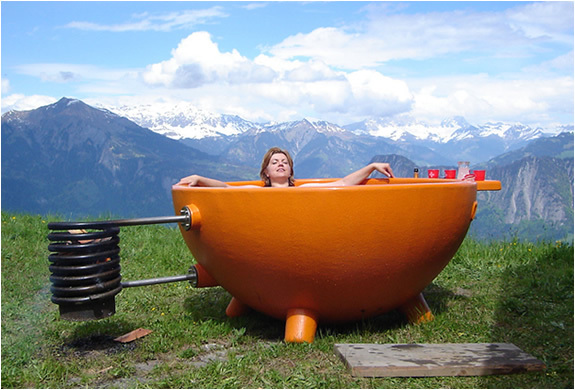 Available to order in either the classic "battle-style" or "non battle-style" positions.